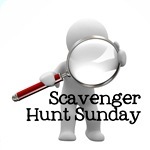 The rules are easy and the hunt is fun. 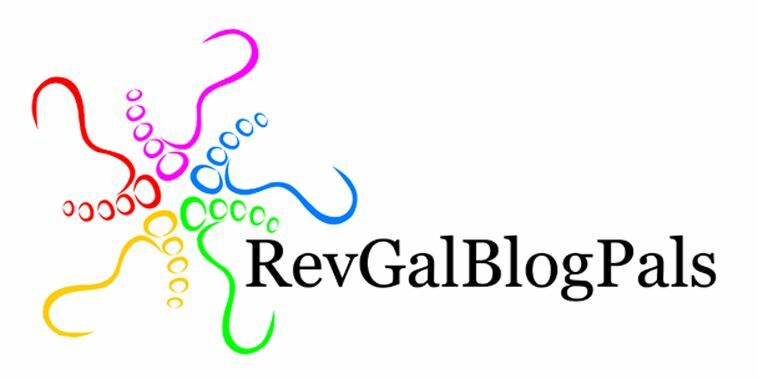 Click over to Ramblings and Photos to find out how to join in. Not your typical rainbow, but colorful nonetheless. 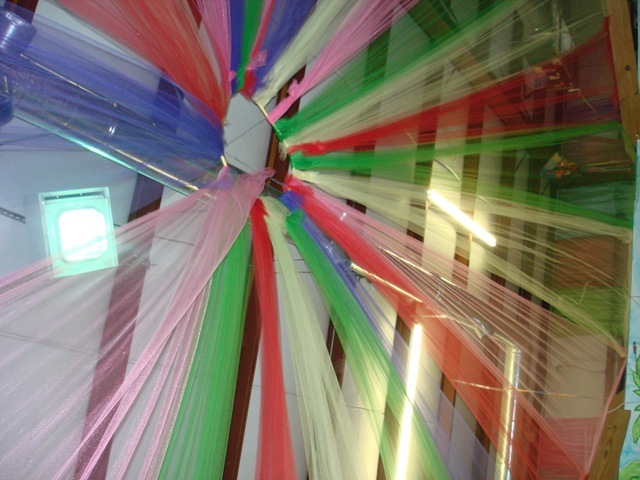 This is the ceiling decoration in one of the party rooms at The House of Jump – a happening kind of place for kids’ parties. Fluffy kitty, fluffy blanket: life is good! 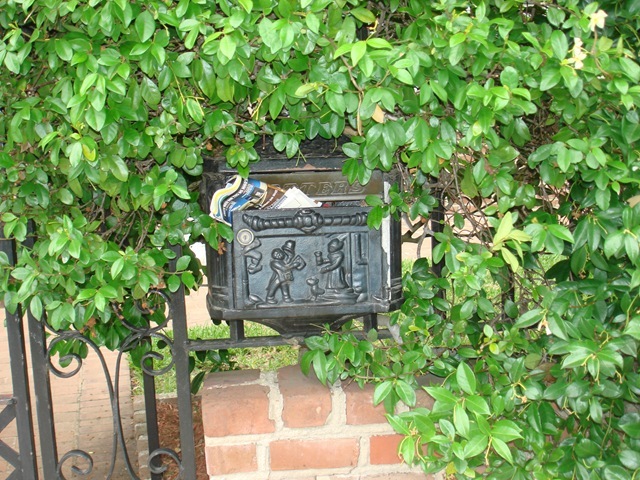 Time to check the mail! Metal artwork is a staple of historic downtown Charleston. This is one of my favorites. 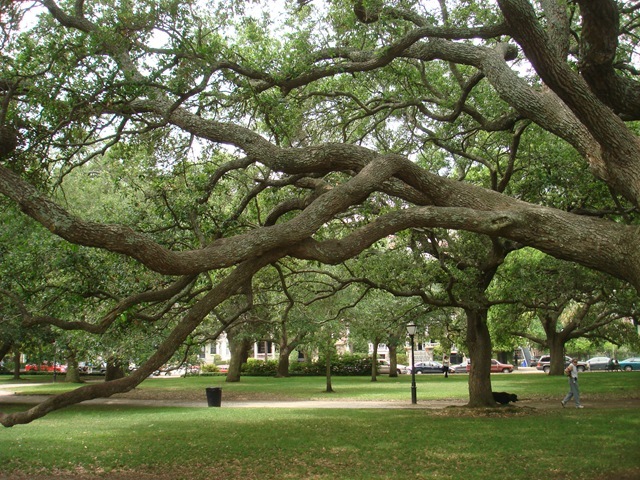 I love the graceful limbs of the live oak trees in this park near the Battery. My daughter, Anna, actually took this picture. I can’t claim it, but it’s so cool I wanted to share it. What a neat perspective! Great set. Our fluff’s are so similiar. Have a great week. Great pics. Love the one Anna took and the one from the Bounce House. 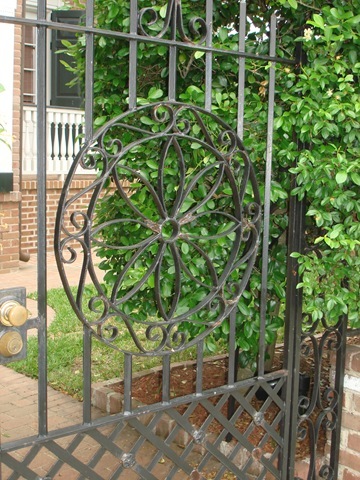 The iron gate in downtown Charleston is done by Phillip Simmons. I mad my tattoo on my ankle made from his design using the circle curves (incomplete circles). Do you know his story? No, I don’t know his story. I will be asking about it at lunch, however! Get ready! Great set, especially like the photo of the oak. Have a wonderful week. Thanks! I’m convinced the most beautiful oaks in the world are found in Charleston. If I’d had time, I would have driven out to Johns Island to take pictures of the Angel Oak. 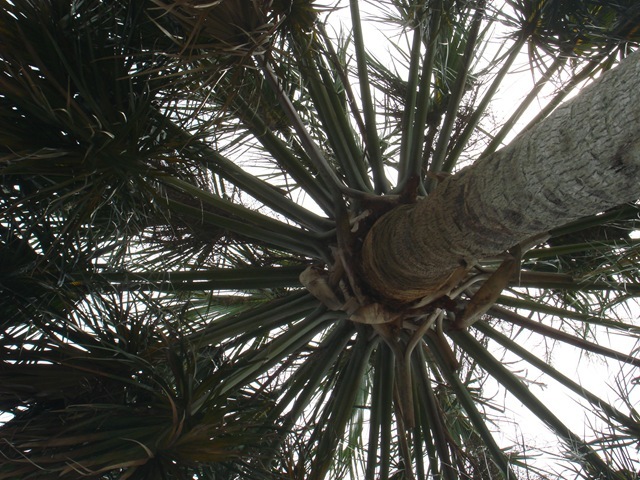 It is THE most beautiful tree in the world! I’m having a ball with this! Having a set of words in mind all week to find photo ops for changes the way you look at the world. Great set! I love your tree shots. Great set – I love how you captured rainbow. The rainbow was my biggest challenge of the week. So glad I looked up at the party on Saturday! Great set! Love “fluffy” there is something fun about sleeping kitties. My “fluffy’s” name is Rascal – a name he lives up to daily. But doesn’t he look positively angelic when sleeping?! Lol!